There has been a lot of press stories about climate change and the recent record setting temperatures – we thought we should put this into perspective and look at this trend in relation to property investing. It seems fairly clear that the last four years have seen the highest overall global temperatures since record began and its probably no coincidence – it certainly appears to be a manm ade phenomena. Dimming or CO2 Emissions? The big question is – is the dimming more important for keeping he world cool - caused by dirty coal burning power stations, or the increase in CO2 emissions? 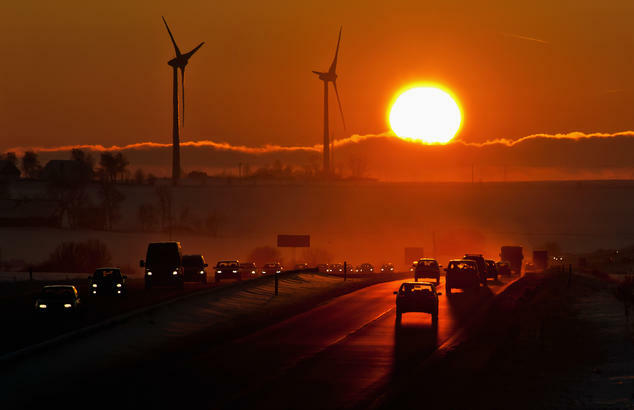 We would like to make a strong case that the massive increases in heat in the earth accelerated every time there was a big drive to clean up the air – eradicate dirty-sort particles in Russia, India, USA and China. As coal burning power stations have closed – replaced by cleaner gas burning plants, temperatures have sky-rocketed as the dimming effect of factories and power plants has reduced. Of course this is not a popular environmental argument since naturally everyone wants clean air and no more smog – because of the health and lifestyle benefits. Trends - We firmly believe that the world’s population desires cleaner air – less particulate pollution – for health reasons - and this will become even more prevalent in China and then India over the next few decades. There was a big push in the USA to wean the country off coal from 2004 to 2014 triggered by cheap shale gas (from horizontal fracced well) that became economically attractive driving gas prices down from around $6/mmcf to $2.5/mmscf – this closed down the dirty coal burning power plants and cleaned up the atmosphere – thereby making it warmer. Yes, the CO2 levels may be less but the dimming affect is also less and hence temperatures have risen – probably more to do with the lack of dimming than lower levels of CO2 emissions. China: The same is starting to happen now in China – because the populations are bec oming far more wise to the benefits of clean air and want less pollution – so more coal plants will close and more gas plants will open – creating a cleaner air environment – slightly reduced CO2 emissions but far hotter because of the lack of dimming-sort in the air. 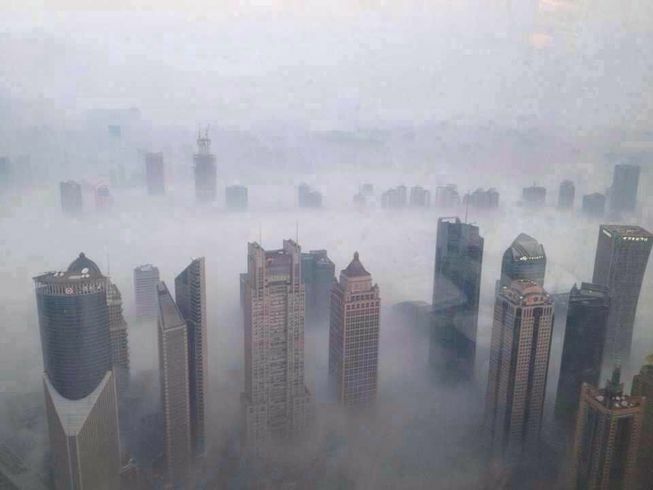 As the Chinese visit other cities globally – they will of course see that smog in Beijing and Shanghai is unacceptable and the Central Government is reacting to populations desires – they want economic growth but clean air with it – not just dirty economy growth. Man Made Interference: After all the man made interference around the world in the last two centuries, in essence, we can either have dirty air that makes the world cooler – or clean air and see the world heat up. The massive destruction of the global rainforests takes the cool rainy forests away and replaces them with hotter barren grassland that emits less moisture and oxygen and anchors less CO2. It would be almost impossible to undo the amount of the CO2 that has been emitted into the atmosphere in the last 100 years. It might be best to try and control temperatures through man-made efforts like seeding rain, or creating ice vapour trails or other dimming effects, including of course planting more trees that develop cloudy cool rainforests – but the mainstream environmental movement seems dead against this type of strategy and it would need inter-government agreements that look less likely in this world of trade wars. Southern European-Mediterranean Heat: As far as trends for property investors are concern ed, it seems pretty obvious that the hotter southern Mediterranean countries that get regularly hit by heat-waves in the summer months will become less popular with tourists and people want to settle. So the recent heat crisis in Spain and Portugal certainly won’t help property prices in these areas – the temperatures of up to 47 deg C measured 3 Aug 2018 are an example of how extreme things are starting to become. Furthermore southern European Mediterranean countries also suffer in part from climate change population migration of mainly illegal Africans landing in boats on their beaches and this trend is not likely to subside as temperatures in North Africa increase – and land resources in central and West Africa become more strained. People have been warning about this for the last decade and its certainly starting to happen – large scale population migration away from heat ravaged areas short of water and sustainable agricultural resources. 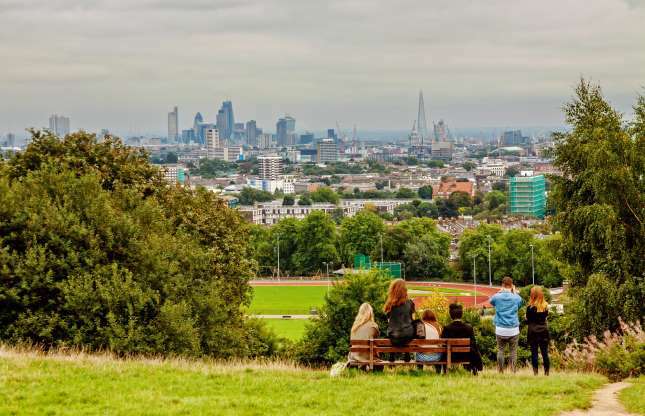 UK: Its worth pointing out that for decades rich people from the Middle East and Africa have been arriving in London during the summer months to escape the heat and provide a pleasant leisure environment. This continues today of course. Whilst the Londo ners might moan about 30 deg centigrade heat, more buses, trains, taxis and tube trains are now air conditioned which takes the misery out of cramped public service summer travel. The tube stations are also better ventilated. Its not like it was in the 1980s for instance, even though the number of <28 deg centigrade days has increased. Some will argue that overall the weather in the UK has improved or will improve because of climate change – and this of course has a bearing on property prices – since international demand will be higher as the decades pass by as wealthy and middle class people try and escape the extreme heat further south in Europe – and also Africa and the Middle East and South Asia. 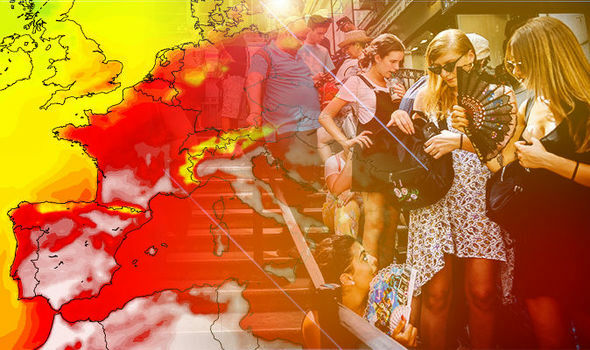 Other cities that could become more attractive are Amsterdam, Copenhagen, Stockholm and Oslo – and possibly Paris, Geneva, Munich, Berlin and Frankfurt – all cities that should warm in the summer but where temperatures are not prohibitive. Extreme Climate in the UK: It’s also worth pointing out in the UK – the weather certainly seems to be more extreme - also in the winter months. In the far west of England and Wales in the last winter, we experienced deluges of rain – far higher, consistent and intensive for the three month period Jan-March 2018 – flooding – with very high winds and many storms. These damaged quite a few har bours in SW England. Then we had extremely low temperatures in April, followed by a heat wave and desert conditions – hardly any rain at all from 1 May through to 27 July – then some light rain for a few days - and then more hot weather. We don’t think this is a freak – its more the new norm. 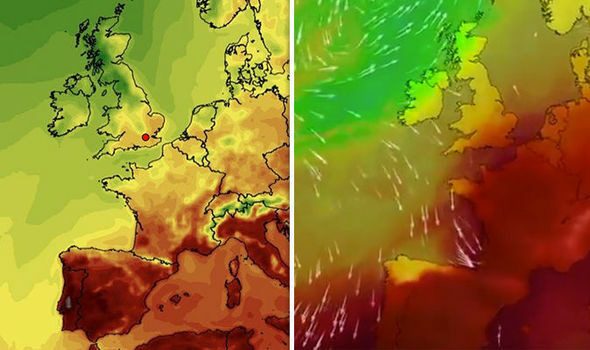 As the oceans heat up, winds, rain, heatwaves and extreme dry period with no wind are likely to become far more frequent in the UK and many other countries. For property investors, living in exposed western coastal areas is beautiful when the weather is nice in the summer, but expensive in maintenance and storm-rain damage during the winter months. Whilst people from eastern England will enjoy cooling down a bit on the coast in the summer months in SW England, the people actually living in SW England, Western Wales and Western Ireland will see more storms and severe rain in the winter months and more hurricane force winds to contend with which could affect property prices. 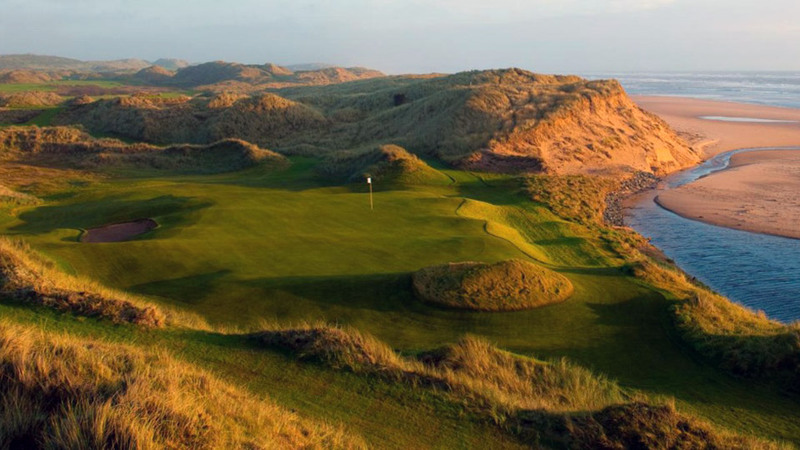 Scotland: If temperatures soar even further, then many people will look to take advantage of the long northern hemisphere summer days with cooler temperatures in places like Scandinavia and Scotland – playing golf and hill walking at 11pm in Scotland on a nice sunny evening have their attractions! The being able to go to work at 8am the next morning – half the day in the summer seems like a holiday. This is of course why the Queen and Royal Family enjoy Balmoral so much and why Trump built a gold course up there. Its worth pointing out though that in the summer months, Aberdeen suffers from bad fog – it can be 28 deg C in the highlands but 12 deg C in Aberdeen along the coast when the fog rolls in! Cities to Avoid: Cities that might suffer from reduced demand for property are the likes of Madrid, Lisbon, Rome, Athens, Nice, Barcelona and Naples – these could suffer far more scorching days in the summer months. Interestingly Gibraltar could attract investment because it is cooled by the surrounding Atlantic/Mediterranean winds and sea in the summer months, and warmed in the winter – a more equable maritime climate. We hope you have found this Special Report insights and though provoking as to how climate change can have an impact on property demand and prices. If you have an queries or comments, please do not hesitate to contact us on enquiries@propertyinvesting.net .